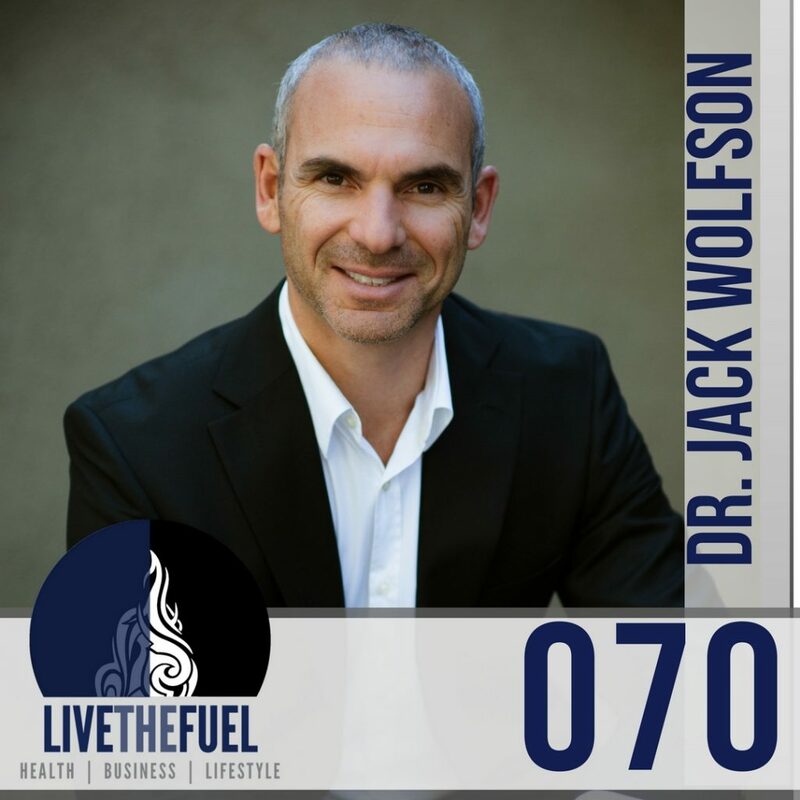 We talk with a powerful new co-host today on wheat consumption issues, nutrition, leaky gut, the use of vaccines, and of course The Paleo Cardiologist book from Dr. Jack Wolfson. [03:00] Connecting on life and living in Arizona, sharing our joint experiences. [04:50] Jack and his wife met in 2004, he was working in a large Cardiology practice. His wife is a doctor of chiropractic and causation who opened up his eyes to other worlds of health. This led to him leaving the big medical group in 2012 for a bigger purpose, launching The Drs Wolfson and eventually him writing The Paleo Cardiologist book. [06:10] MD’s relating to DC’s. Mentioning how Vinnie Tortorich isn’t a supporter of Doctor’s of Chiropractic. Jack helps us clarify what “real doctors” can truly do in different situations. [08:20] Scott finds his trust of chiropractic care in 2008 training for the Marine Corp Marathon in Washington DC. [11:15] The average MD, a medical doctor is not taught anything about nutrition. [12:50] Taking issue with the 300 MD’s and Ph.D.’s that wrote the references he includes at the end of his book, The Paleo Cardiologist. [15:45] We’re talking about who lives the best, who lives the longest, who has the lowest risk of heart attack and stroke. [19:20] Referencing the NSNG lifestyle, Vinnie Tortorich and how he’s surviving Leukemia Cancer by reducing sugar consumption. [20:00] Whatever the diet book, everyone is going to be anti-sugar these days. It’s hard to get people off the sugar, all we can do is give them the information. What people do with the information is their choice. They’re not hearing the truth in the typical medical establishment. Doctors are not spending the time to speak to people, they’re not educated to speak to people, they’re kind of down on the whole process of nutrition. [23:10] Sharing our mutual love of mountain biking. Even as a Cardiologist, all he can do is call 911 in the case of an emergency. [25:00] Get out of the gym, get outside, hike, bike, do squats with your bodyweight, lunges, pushups, etc. [26:00] Trail running, thin soled shoes, we both read the Born to Run book. [27:45] Jack doesn’t wear shoes in his office and sells healthy duck fat. [28:08] He first learned about Leaky Gut in 2005 and never heard of it during his 10 years in school. [29:00] Test kits for leaky gut and more for using the Wheat Zoomer. Also chatting on Wheat Belly and the Grain Brain books. [32:45] Are sprouted ancient grains healthier than wonder bread. Don’t guess, get tested. [33:50] The human body is an amazing and powerful machine. [34:07] Referencing Dr. Jack Kruse and mitochondrial health. Both Jack’s actually spoke together at an event in June 2016 in Vermont. [36:00] Jack Kruse brings heavy science to the Paleo lifestyle. Dr. Jack Wolfson tests people’s cellular levels of Omega 3′, Vegans are extremely deficient in Omega 3’s. Clearly, this is linked to all disease as well. [37:20] Follow the wisdom of our ancestors. [37:37] Mentioning Dr. Joe Dispenza and my recent event attendance learning about the quantum law. [38:00] The Quantlet device from Dr. Jack Kruse. [40:00] Our bodies natural response to problems is inflammation. We need to put the fire out by finding what the caused the fire. It’s all about causation. [41:00] Kevin Cottrell and Jack Wolfson speaking at PALEOfx. [44:00] If you’re Mediterranean, just do it without the chemicals and you’ll make a huge difference. [48:10] People are not getting the answers from their average MD. [48:20] The use of statin drugs vs finding the 0% category. Jack shows all of the medical data on statins in The Paleo Cardiologist book. [49:10] Jack clarifies for me that his 300 References from medical professionals in his book, means that he has referenced their studies that support his studies and the book. If you’re insulting Jack and The Paleo Cardiologist, then you’re insulting the 300 other medical journals he has researched too. [50:05] Mentioning Nina Teicholz and The Big Fat Surprise book. [53:00] Give the gift of health and education. [55:00] Clarifying where to get started for accomplishing your own blood testing. Referencing the Wheat Zoomer, looking at Leaky Gut, where your inflammation is at, etc. [57:20] It’s nice to not have a family history, but genetic changes can happen, referencing epigenetics. [01:00:30] Jack’s high-level focal points to improve our health are the nutrition, sleep, the sunshine, and reducing stress. I talk the talk and I walk the walk. If you know how to do it, teach others how to do it. Do not be afraid to speak your truth because you are going to save people’s lives. Continue to speak the truth.